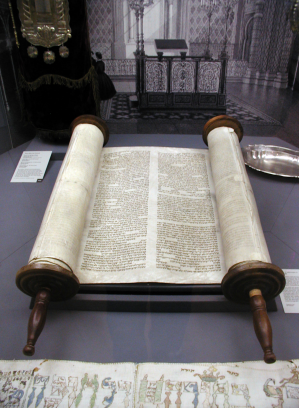 In most non-Jewish translations of the Jewish Scriptures, the word "Torah" is translated "law." The word Torah means instruction. David stated, "Your Torah have I hid in my heart that I might not sin against you." Yeshua (Jesus) summed up the Torah with these words, "You are to love Adonai your God with all your heart and with all your soul and with all your strength... You are to love your neighbor as yourself. All of the Torah and Prophets are dependent on these two mitzvot (commandments)." (Matthew 22:37-39). This was an affirmation of Deuteronomy 6:5 and Leviticus 19:18. Careful study of the Bible reveals that principles found in the Ten Mitzvot (Commandments) existed before God gave them to Moses on Mount Sinai (Exodus 20:3-17) , and those same principles still exist today. The two primary principles of the commandments are love for God and love for others. The first four commandments tell us "Who to worship," "What not to worship," "How to worship," and "When to worship." The last six commandments tell us how to lovingly relate to one another. Only when we understand and accept Gods grace can we begin to display genuine love for God and people. Some Christians insist that Gods law did not exist prior to Moses and does not apply now. However, the Bible teaches that "sin is violation of Torah" (1 John 3:4) and "where there is no law, there is also no violation." (Romans 4:15). If the principles of Torah do not exist today, how can mankind ever be held accountable for sin? If there was no law to expose sin prior to Moses, how was it that God acknowledged "the people on earth were very wicked" (Genesis 6:5) and judged the world with a flood? How was it that Joseph recognized adultery as a "sin against God?" (Genesis 39:9). Solomon wrote, "Here is the conclusion, now that you have heard everything; fear God, and keep his mitzvot (commandments); this is what being human is all about. For God will bring to judgement everything we do, including every secret, whether good or bad." (Ecclesiastes 12:13-14). The New Testament sums up the purpose of Gods "royal law" this way, "Keep speaking and acting like people who will be judged by a Torah which gives freedom." (James 2:8-12). Just as judicial courts judge by established law, so God will pass final judgment using the principles of his law (James 4:12). God will judge our hearts (Romans 2). Those accepting Gods grace, though guilty, will be free in him. Observance of the law cannot save anyone. However, Paul also knew people would not be saved if they blatantly transgressed it.5 When we do transgress Gods law, we can ask for forgiveness and cleansing from sin. Ezekiel 36:25-27 promises us cleansing from impurity, a new heart of love, and the Ruach Ha Kodesh (Holy Spirit) to instruct us in righteousness. Torah or the Prophets. I have come not abolish but to complete. not until everything that must happen has happened. and so teaches will be called great in the Kingdom of Heaven." Many followers of Jesus are taught to believe that Yeshua in Matthew chapter 5 is establishing a new set of commandments that we are to follow. But if you understand rabbinic thought, you would realize that what Jesus is doing is simply expanding on the existing commandments of God by telling people how to practically fulfill those commandments. Yeshua said he came to fulfill the law, not abolish it, and that the law would endure until heaven and earth pass away. The word "fulfill" is a Jewish idiom, meaning to fill up to the brim and make completenot eliminate. How many followers of Jesus are going to be called "least" in the Kingdom of Heaven because of their reinterpretation and disregard for the Torah that encompasses God's commandments? Believers need to think and pray seriously about what Yeshua is teaching in Matthew 5. Are Yeshua's teachings regarding Torah and the commandments of God to be replaced or undermined by the teachings of Shaul (Paul)? Is Shaul the final authority on Torah, or is Yeshua? And furthermore, did Shaul really dismiss Torah? Not according to Acts 24:11-14; Romans 2:13; Romans 3:31; and Romans 7:7,12. In the new covenant, God promises to write his law in the minds and hearts of his people (Jeremiah 31:31-34; Hebrews 8:8-10). Yeshua renews the promised covenant. He does not create a new Torah and abolish the existing. Rather, Yeshua makes it complete. 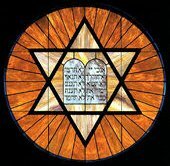 The emerging attitudes in the non-Jewish Church made it impossible for the Jews to accept the messianic claims of Yeshua. The non-Jews presented Yeshua on terms reflecting their own misunderstanding of the law; conditions unsupported by Yeshua himself.6 But the principles of Gods instruction do not change because God does not change (Malachi 3:6). Because of anti-Jewish sentiment expressed within Christianity, many Jews have come to view the Messiah and the New Testament as being irrelevant.7 However, negative sentiments do not justify ignoring the truth of the matter. Have you searched for the truths found in the Bible, rather than the teaching of men - whether ministers or rabbis? God says, "If with all your heart you truly seek me, you will surely find Me." Yeshua said, "Seek and you will find." You shall not covet your neighbors wife. You shall not covet your neighbors goods. Sadly, the "10 commandments" written above, by non-Jews, are substantially lacking in content from those given by God to Israel at Sinai. These "commandments" are not even numbered correctly or correlated properly to the original ten commandments. Is it any wonder that many today do not properly understand and apply God's commandments in their lives? and remember their sins no more."